Do you know what version of Windows you have? 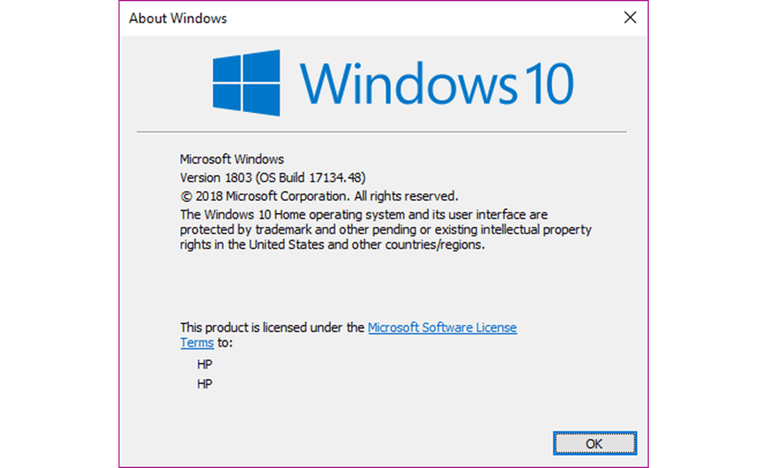 While you usually don't need to know the exact version number for whatever Windows version you have installed, general information about the operating system version you're running is very important. Everyone should know three things about the Windows version they have installed: the major version of Windows, like 10, 8, 7, etc. ; the edition of that Windows version, like Pro, Ultimate, etc. ; and whether that Windows version is 64-bit or 32-bit. If you don't know what version of Windows you have, you won't know what software you can install, which device driver to choose to update — you may not even know which directions to follow for help with something! Keep in mind that the taskbar icons and Start Menu entries in these images might not be exactly what you have on your computer. However, the structure and general appearance of each Start Button will be the same, so long as you don't have a custom Start Menu installed. While the images and information below is the best way to determine the version of Windows you're running, it's not the only way. There's also a command you can run on your computer that will display an About Windows screen with the Windows version included. It's really easy to do this regardless of the version of Windows you're running; the steps are identical. Just invoke the Run dialog box with the Windows Key+R keyboard shortcut (hold down the Windows key and then press R once). Once that box shows up, enter winver (it stands for Windows version). You have Windows 10 if you see a Start Menu like this when you click or tap the Start Button from the desktop. If you right-click the Start Menu, you'll see the Power User Menu. The Windows version number for Windows 10 is 10.0. You have Windows 8.1 if you see a Start Button on the bottom-left of the desktop and tapping or clicking it takes you to the Start menu. You have Windows 8 if you don't see a Start Button at all on the desktop. The Power User Menu when right-clicking the Start Button in Windows 10, is also available in Windows 8.1 (and the same is true for right-clicking the corner of the screen in Windows 8). The edition of Windows 8 or 8.1 you're using, as well as information on whether or not that version of Windows 8 is 32-bit or 64-bit, is all found in Control Panel from the System applet. If you're not sure if you're running Windows 8.1 or Windows 8, you'll also see that information listed in the System applet. Windows 8.1 is the name given to Windows version 6.3, and Windows 8 is Windows version 6.2. The Windows 7 & Windows Vista (below) Start Buttons and Start Menus look very similar. The Windows 7 Start Button, however, fits completely inside the taskbar, unlike the Start Button in Windows Vista. Information on which Windows 7 edition you have, as well as whether it's 64-bit or 32-bit, is all available in the Control Panel in the System applet. As I mentioned in the Windows 7 section above, both versions of Windows have similar Start Buttons and Start Menus. One way to tell them apart is to look at the Start Button — the one in Windows Vista, unlike in Windows 7, extends above and below the taskbar. Information on the Windows Vista edition you're using, as well as whether your version of Windows Vista is 32-bit or 64-bit, are all available from the System applet, which you can find in Control Panel. You have Windows XP if the Start Button includes both a Windows logo as well as the word "Start." In newer versions of Windows, as you can see above, this button is just a button (without text). Another way the Windows XP Start Button is unique when compared with newer versions of Windows is that it's horizontal with a curved right edge. The others, as seen above, are either a circle or square. Unlike with newer versions of Windows, the 64-bit version of Windows XP was given its own version number: Windows version 5.2.